Since the market collapse in 2008, home ownership may have seemed like a pipe dream for many Americans in today’s economic climate. However, the signs indicate that the real estate industry is starting to bounce back following 6 years of depreciation and inability for many to obtain a mortgage. As such, the market is beginning to move from a seller dominated environment towards a more buyer dominated industry. Buying a first home, or a vacation home, should not be treated lightly. Capital investment aside, it is a trying time viewing different properties and competing against other buyers. This is where a fully qualified, experienced real estate agent can help. With a wealth of knowledge in helping buyers find the house of their dreams, they are invaluable asset in the hunt for new properties. Note however, that not all real estate agents are equal. Some have their merits in different areas from others. 1) What is Your Experience in the Neighborhood? First and foremost, you want to establish your realtor’s experience within your neighborhood. This is key in order to establish your realtor’s knowledge of fair asking prices and the exclusivity of certain areas. If your agent is not experienced in your area, find out what regions they are experienced in and see how this compares with your own. 2) Full Time or Part Time? This is an important point to establish. Ideally, you want a real estate agent who has worked in the industry for a significant amount of time and as such has a wealth of experience in buying new properties. There are many part-time realtors who juggle their full-time career with managing real estate. Not to discount there merits; there are like some very qualified part-time real estate agents out there. However, you want to be sure that your property manager is committing themselves 100%. The last thing you want, whilst going through the stress that buying a property entails, is to call your agent and find out that they are unavailable due to other commitments. 3) Is Your Realtor’s License in Good Standing? This is critical when hiring not only a real estate agent, but any outside contractor. An agent’s real estate license is is the bread and butter of their job, without it they cannot present themselves as a fully qualified, professional realtor. 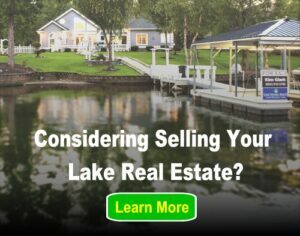 When faced with this question, a good real estate agent will jump at the chance to show you their certifications. If they act slightly skeptically, then you should be concerned. 4) How Many Buyers Do You Currently Represent? Finding out how many buyers your potential realtor currently represents is a good gauge of their standing in the local area. As a rule of thumb, bigger client bases correlates with a better real estate agent. Word of mouth is a realtor’s best friend, and this is how most buyers discover their agent. If an agent has a sizable client base then this is likely through referrals, so you can be fairly confident that their promises are delivered. This is a double-edged sword however. A sizable client base can significantly reduce the one-to-one time you will have with your agent. New agents managing smaller portfolios will be able to offer far more interaction. If transparency is something you rate highly, then it may be worth considering a new client with a smaller pool of buyers. You’ll understandably be wary about signing documents for your real estate agent without knowing the details of their guarantee. Do they offer an opt out period? If so, how do you go about it? Find out if their has been past clients who have chosen this option, and what the process entails. 6) What Is Your Main Selling Point Compared to Other Agents? Any reputable realtor will jump at the chance to answer this. Typically, they will have a stock answer ready to list the main points which set them apart – and this is not a bad thing! You should be looking for an agent who is honest, has time for their clients and is a great negotiator. Be careful though, a shrewd negotiator may save you some money on the asking price however they’re unlike to budge on agent’s fees! 7) Can You Give Me a List of Referrals? The best real estate agents will have an extensive list of past clients who are ready to vouch for their services. A good degree of transparency shows that their claims are always backed up and their services have been recommended by others. Ask for a list of clients in order to assess the agent’s suitability from a verified third party. Absolutely, that would be fine!